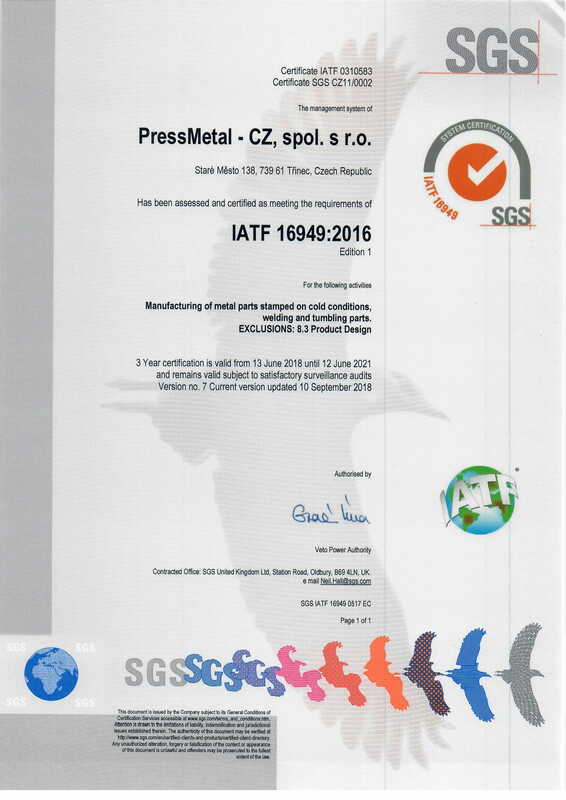 One of the main technologies in our company is cold pressing of metals. For this purpose we own classic and CNC eccentric press machines which we fit with progressive cutting tools. We also provide manual, semi-automatic, robotic welding and spot welding using the MMA, MAG and TIG welding technology. Electroerosive machining is recommended especially for the production of complex shapes most commonly used for pressing tools. We offer metal sheet forming by stamping and folding, our company possesses several machines for folding, rolling or handheld metal stamping. 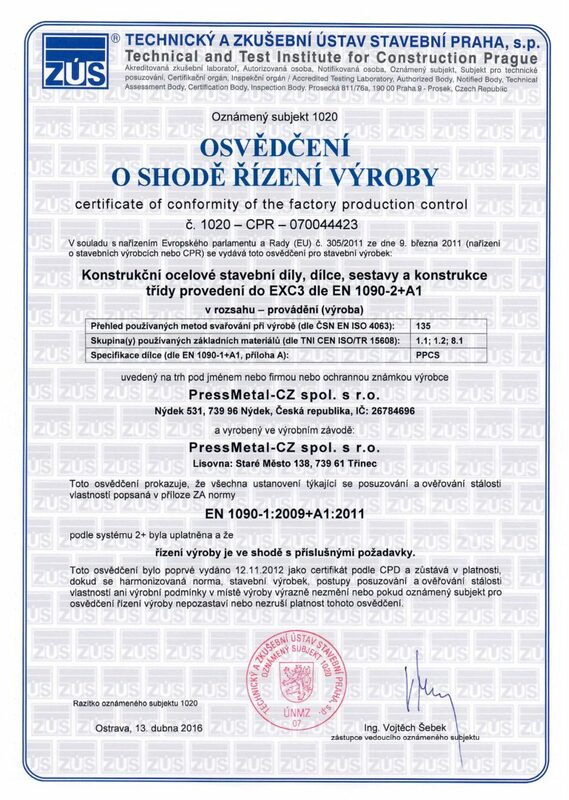 Over the years, our company has been certified according to quality management standards and requirements for quality of production.